If you’re a woman in your 50’s, chances are you are experiencing a bit a weight gain in the midsection. Gosh! Don’t you hate it?!!! I know I do! During this stage the mirror is not very friendly. That’s usually because there’s a lot going on. 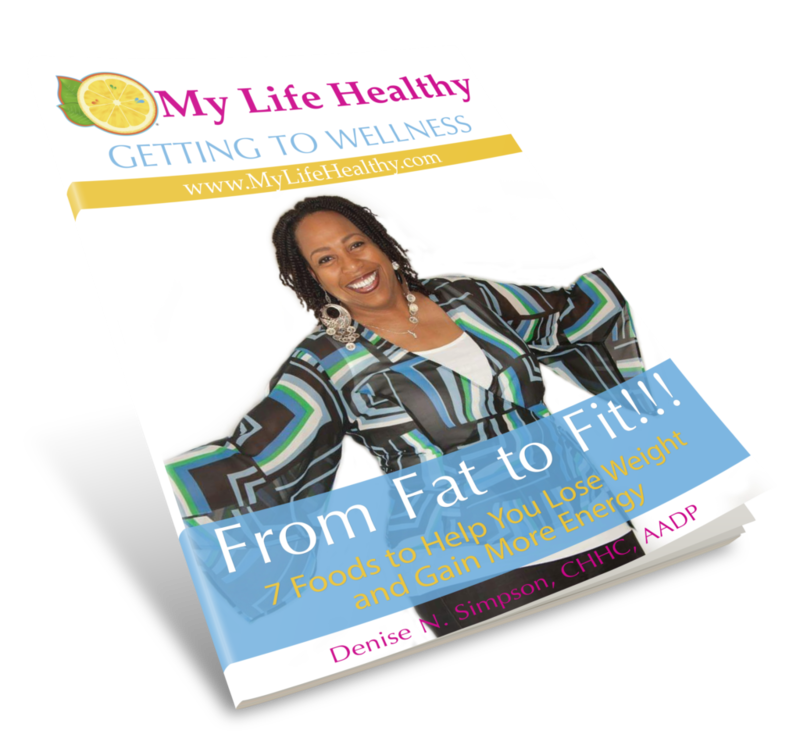 From being over stressed to entering menopause or peri-menopause, or simply experiencing a mid-life crisis – the “getting older” syndrome – all of which can introduce a bit of craziness in your life. What you find is that your diet and exercise routine from your 30’s and 40’s stops working at age 50 or doesn’t work as well as it use to. But we can’t just ignore it because studies show that women who gain weight at age 50 have a 30 percent increased risk of breast cancer and other disease. The good news is that you can still slim down and maintain a healthy body weight, but it will require some tweaking in your daily habits. I know you’re probably saying “Oh no! Not another diet!” I couldn’t agree with you more. So let’s NOT diet anymore. Instead let’s work on creating sustainable lifestyle changes that encompasses the whole person – Mind, Body, and Spirit. As we become more interesting in age, we require fewer calories for weight maintenance than when we were younger. According to the Dietary Guidelines for Americans, based on 2010 estimates, Women over age 51 need 1,600 calories — for a sedentary lifestyle — 1,800 calories for a moderately active lifestyle and up to 2,200 calories for an active lifestyle. The U.S. Department of Health and Human Services reports that for weight loss, diets containing 1,200 to 1,600 calories per day are usually appropriate for overweight and obese women, depending on their current body weight and activity level. Meeting your daily fiber needs can help you lose weight if you’re over age 50, since high-fiber foods tend to help you feel full for longer periods of time. The Institute of Medicine recommends women aged 50 and older consume at least 21 grams of fiber every day. High-fiber foods such as buckwheat, millet, quinoa, wild rice, vegetables, legumes, nuts and seeds and fruit. But let me caution you not to eat too much fruit. High sugar intake has been known to be the main culprit to weight gain and health issues. Consuming plenty of protein can help you lose excess body weight and reduce loss of lean muscle associated with aging. What has worked for me is having a higher ratio of protein to carbohydrates, and ensuring that I eat good carbs which are found mostly in vegetables and whole grains. Studies show that low-carb diets are not all they’re cracked up to be and may increase your risk of inflammation. The Institute of Medicine recommends all women consume at least 46 grams of protein every day. Eating the right amount of protein will help to improve strength, muscle mass and function in older individuals. Eat whole foods – foods that are more of a product of nature than a product of industry, such as lots of vegetables, fruit, Greek yogurt, whole grains, natural sweeteners, locally raised meats, wild caught seafood over farm-raised, nuts and seeds, eggs (bought locally), quinoa, brown rice, and legumes to name a few. Limit your intake of the following foods: refined grains (white flour or white rice), refined sweeteners (sugar, corn syrup, cane juice, artificial sweeteners), foods in a box, can, bag, bottle or package that has more than 5 ingredients, fried foods, and fast foods. Oh! And don’t drink your calories such as with sodas and sugary teas. If you plan your meals and keep a food diary, you can expect to see those extra pounds melt away. Naturally our metabolism slows as we age. This is perhaps one reason why weight gain is prominent. To combat this problem, engage in some form of exercise daily to keep the body healthy, vibrant and running at optimal levels. A top trend for 2015 is Express workouts which are quick workouts (20 minutes or less). Truth be told, most of us have busy schedules and do not have large pockets of time available. Express workouts focus on quality of workout rather than quantity. Engaging in an intense 20 minute workout you can get as much – and sometimes more – accomplished than if you meandered through an hour at the gym. This can be in the form of interval circuit training, aerobic exercises, running, racquetball, and others of the same. The idea is to get your heart pumping and bring on the sweat. How you feel about yourself, your life, and others has a huge impact on your perspective and outlook on life and may be the main contributor to stress. Stress is another culprit to weight gain and health issues. To lower stress levels, improve your life by finding ways to simplify things. There is no “glory” in being busy all the time. Focus on what matters the most. Find meaningful ways to incorporate the things you enjoy and reap the high benefits of a quality of life. Remember to put yourself on the important list too and get your share of self-care. Get an extra hour of sleep. Have a spa day. Drink more water. Eat responsibly. Every little bit counts towards maintaining your happiness and as well as your health.